Planning a bridal shower is no easy task! There is so much to think about from invitations to food. One of the most daunting tasks can be entertainment. How do you make sure all the guests and bride-to-be have an amazing time? Try having games. Games will have the whole party laughing and everyone can get involved. To get you inspired we have put together 41 games that will bring excitement and fun to any shower. 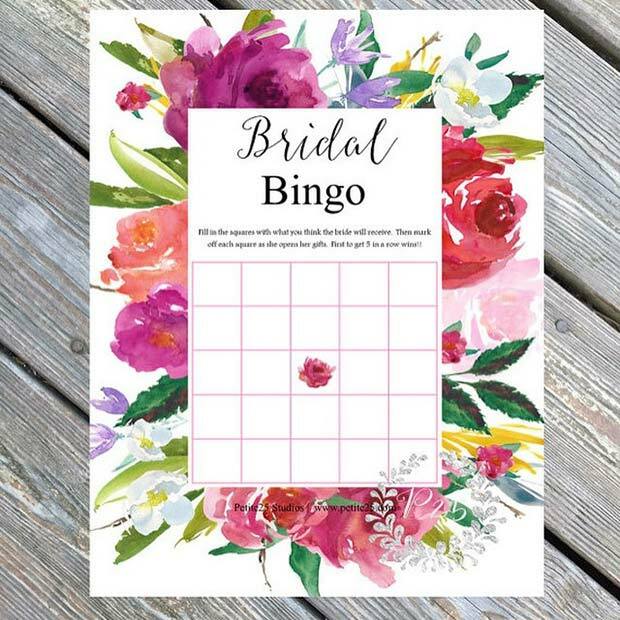 Bridal Bingo is a fun and easy game to host. You can buy pretty cards like these ones or make your own. Get the guests to fill in the boxes with what they think the bride will receive. Then if she opens a gift that you guessed mark it off. First person to guess five gifts correctly wins. This is a fun twist on the classic game that everyone enjoys. 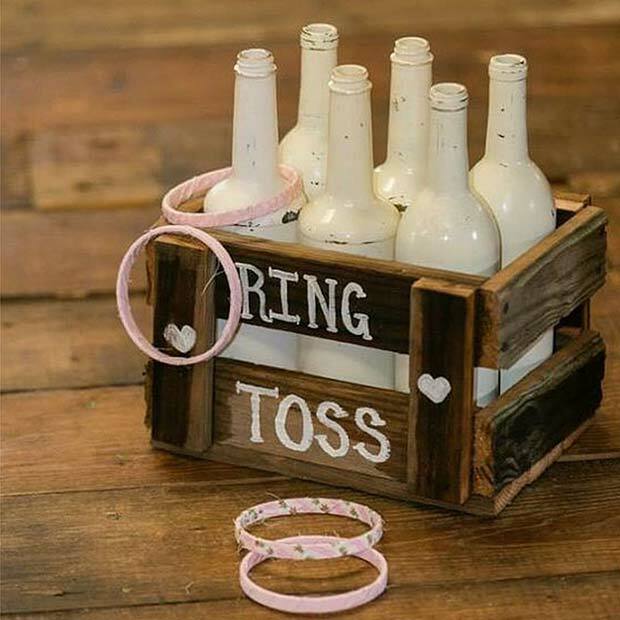 Ring toss is a fun game that any age will love. A game like this is easy to create with bottles and some bangles. There are so many ways to re-create it. You could go for white and pink like this or wine bottles. However you choose to play, it will be a hit at any shower. Here is a game the whole party will love. It’s fun, provides a little competition and has sparkle to take home. What’s not to like? To play all you need is a sign like this one and a pot of costume rings. 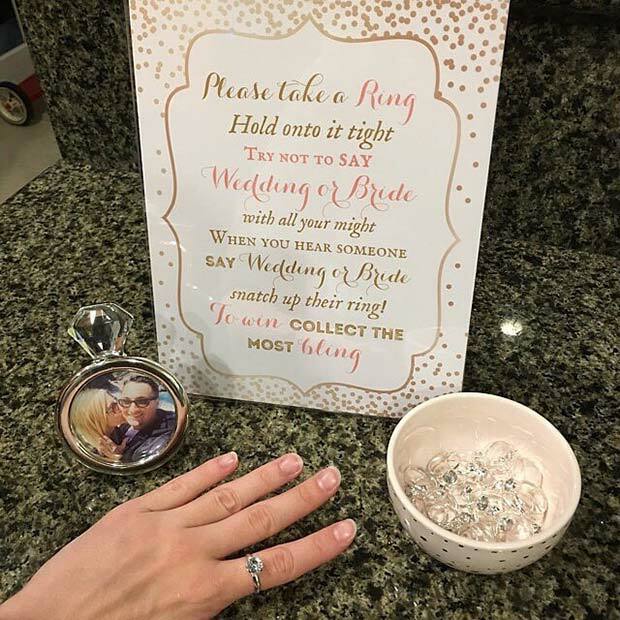 Every guest starts with one ring and every time someone says wedding or bride they lose the ring. Whoever has the most rings at the end of the shower wins. Games need prizes. 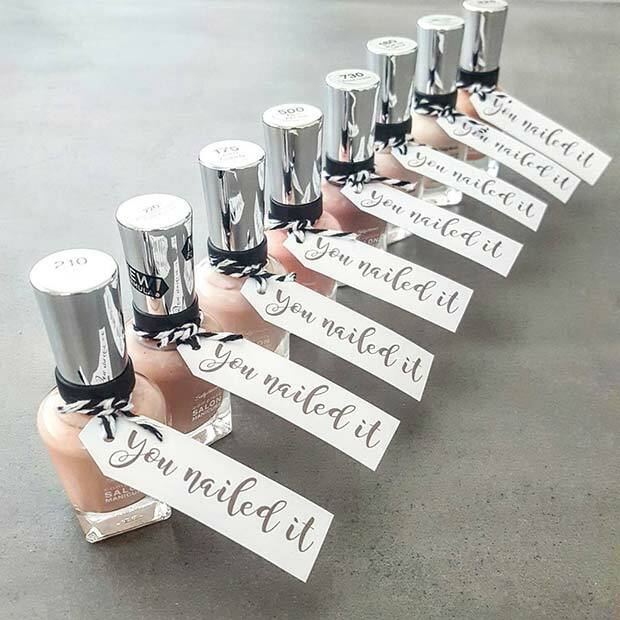 Nail varnishes like these could be the perfect prize. The neutral colors will suit every guest, the tags are super cute and these won’t break the bank. You could personalize the tags to suit any shower theme. Any party goer would love to win one of these. 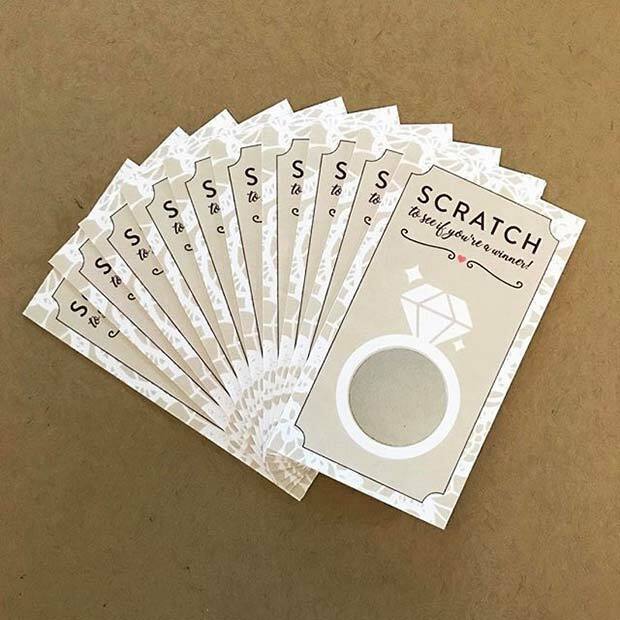 Wedding theme scratchcards are awesome party favors. One is given to each guest to add some fun to the evening. Games like this are easy, quirky and can be created to suit any shower. 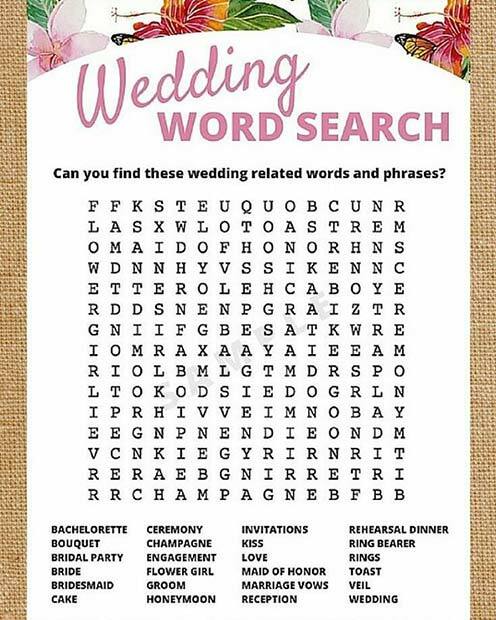 Wedding themed word searches can be put on every table. You can create these with any words or with any design. A simple game like this is great to have around especially if younger guests will be attending. Next, we have a fun game that will let your creativity shine. You choose a guest to judge and split the rest of your party up into teams and provide them with a few toilet rolls. Each team chooses a member to be bride. 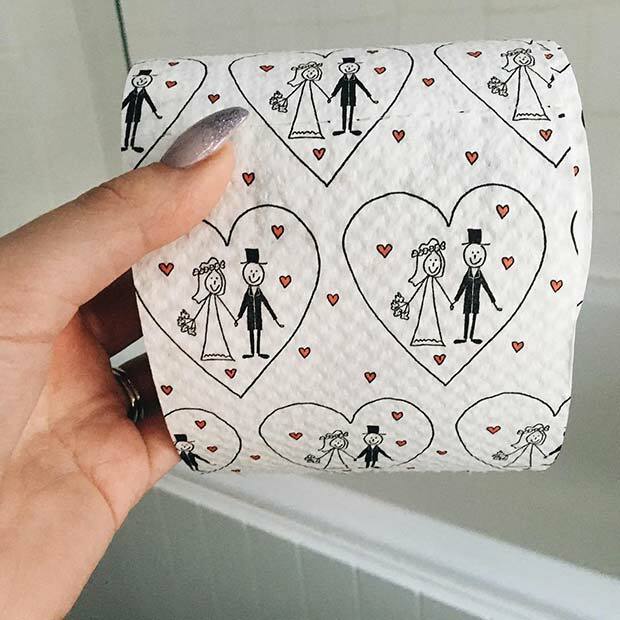 Then they have a time limit to create a wedding dress out of toilet paper on their bride. At the end of the time the judge chooses who has created the best dress. Whichever team they choose wins! 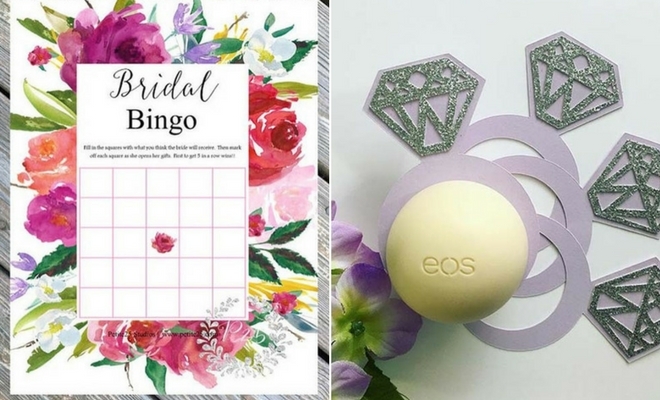 The simplest of items can be turned into beautiful prizes or party favors. 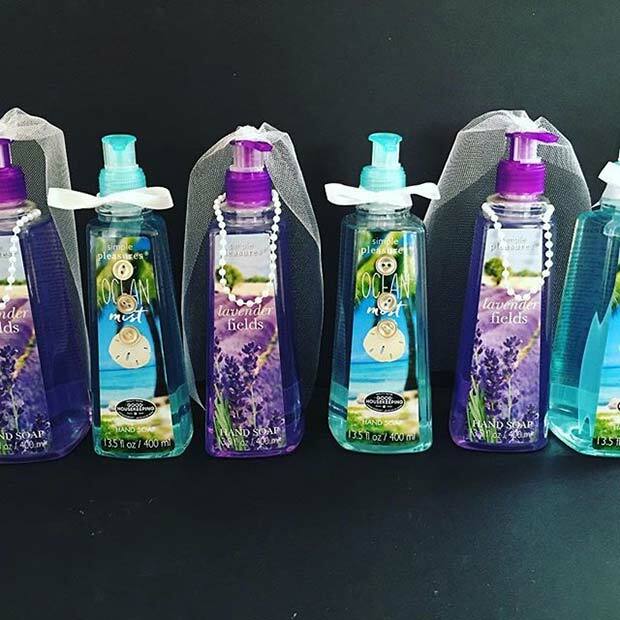 Take a look at these soaps. These nice soaps have been made extra special by being embellished to look like a bride and groom. Something like this is fun, unique and is great if you like crafts. You could give any of these as a little token prize and the guests will love it. Piñatas are fabulous party games for all ages. These can come any design to suit any theme. 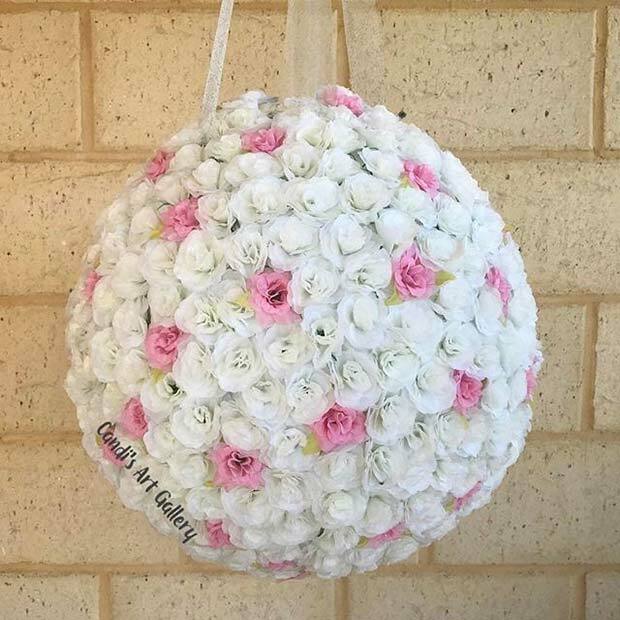 For a bridal shower the piñata has had a beautiful makeover. This one features pretty flowers with hints of pink and cute ribbon. You can use this as a decoration until all your guests hit it to win prizes. Glitter or confetti would be great to put inside for when it bursts. The memory game is a fun way to share memories. 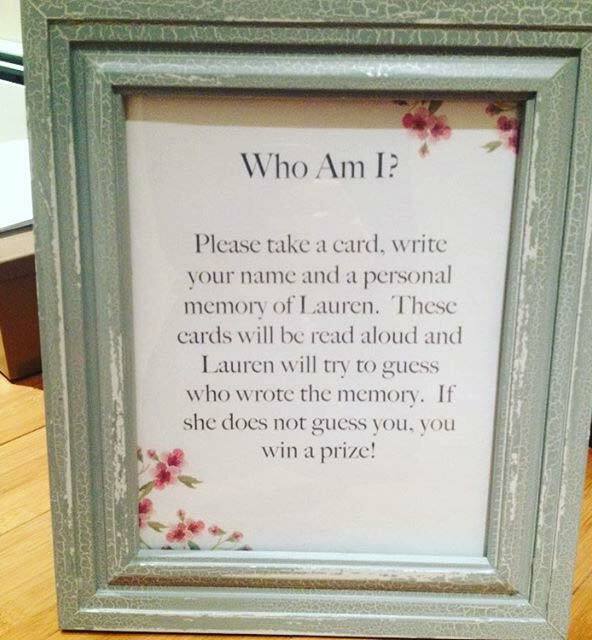 Each person writes a memory they had with the bride-to-be, if she does not guess you wrote the memory you win a prize. A game like this gets everyone involved and takes everyone down memory lane where they can relive some happy times and some hilarious ones.